Singapore: Oil prices rose Monday, 19 November, as some Opec members talked about converting their cash reserves to the euro and away from the “worthless" dollar. There is also doubt a possible Opec output hike next month would get more supplies to market in time for the northern winter. The comments on the dollar came at a weekend summit, where the heads of state of the Organization of Petroleum Exporting Countries sought to find ways to mitigate the adverse impact the decline of the American greenback has had on their revenues. Oil is priced in dollars and the currency’s depreciation has concerned oil producers, since it has contributed to rising crude prices and has eroded the value of their dollar reserves. Cartel officials have resisted pressure to raise production to ease prices. “The fact that Opec members are talking about issues like the weak dollar and not talking about raising output is supportive of strong pricing, so we’re seeing signs of the market gaining strength," said Victor Shum, an energy analyst with Purvin & Gertz in Singapore. 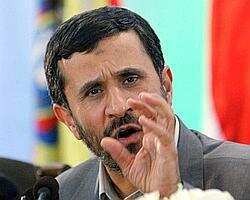 Calling the dollar a “worthless piece of paper," Iranian President Mahmoud Ahmadinejad said Sunday in Riyadh, Saudi Arabia, the cartel’s members have evinced interest in converting their cash reserves into another currency — a sentiment echoed by Venezuelan President Hugo Chavez, who called the euro a better option. There had been speculation over whether Opec would raise production at the meeting following recent oil price increases that have closed in on $100 a barrel. US Energy Secretary Samuel Bodman had called on Opec to raise output last week, but cartel officials say they will hold off any decision until the group meets next month in Abu Dhabi in the United Arab Emirates. Some analysts say a decision to increase output next month is unlikely to strengthen supplies to meet peak winter demand season. “Even if the OPEC ministers decide to raise output in early December, that would likely become effective only in January so by the time the oil gets to the market, the winter season would essentially be over," Shum said. OPEC officials have also cast doubt on the effect any output hike would have on oil prices, saying the recent rise has been driven by the falling dollar and financial speculation by investment funds, rather than any supply shortage. In London, January Brent crude futures added 92 cents to $92.54 a barrel on the ICE Futures exchange. Singapore: Oil prices were higher in Asia on Monday as traders again fretted over tight energy supplies with the northern hemisphere winter approaching, dealers said. Indications that the Organisation of the Petroleum Exporting Countries (Opec) is not about to raise output were also propping up prices, they said. “If one looks at the fundamentals, the market is tight," said Victor Shum, a Singapore-based analyst with energy consultancy Purvin and Gertz. “That is why the crude futures are showing fresh signs of strength," he said. In early morning trade New York’s main contract, light sweet crude for January delivery, was 66 cents higher at $94.50 a barrel from $93.84 in US trades Friday. The December contract expired Friday, closing $1.67 higher at $95.10. Brent North Sea crude for January delivery climbed 57 cents to $92.19. Opec heads of state met in Riyadh over the weekend for a rare summit but they indicated no plans to raise the cartel’s crude production, which provide about 40% of world oil, despite pressure from the United States, the world’s biggest energy user. Shum said any output hike would have limited impact in any case given that the northern winter hemisphere is fast approaching. Heating fuel demand typically peaks during winter especially in the US northeast region. “Even if Opec decided to raise the output targets, it is too late for peak winter demand. And so as we are heading into the northern hemisphere winter season, demand will likely pick up," said Shum.